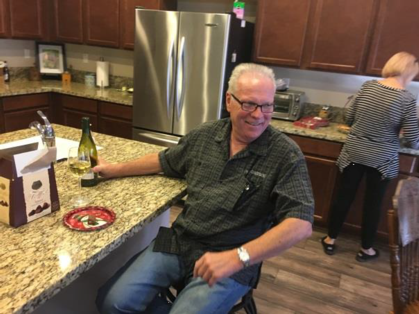 Our condolences are extended to classmate Bob Knudtson whose brother Ron (SGHS ’63) passed away March 4, 2019 after a year and a half battle with cancer. It is with a very heavy heart that we make this post. To all our classmates from South Gate class of 1964 we lost Carol Clyse-Wiskus. Carol died suddenly from a stroke on December 11, 2018. She is survived by her husband Gary, children and grandchildren. Carol lived in Havasu City, Arizona. Carol was a sweet and fun gal. Always laughing and smiling. She will be missed by many. Rest in Peace. Carol has a Face Book page r(https://www.facebook.com/carol.clysewiskus) where you may leave a message for family and other friends. The reunion was great fun. First photos posted on the 2018 '63 & "64 55th Reunion page on this website. Send your photos to frank.pegueros@dare.org so they can be posted. REUNION WEEKEND - It's here! See you at Montelone Meadows. It is with a heavy heart that we report the passing of our classmate Andrea K. Binegar. She succumbed to her lengthy battle with cancer on July 13th. Our thoughts are with her. Thursday, July 19th at 11:30 am. All Class of “64” members, their families and friends are invited to attend! 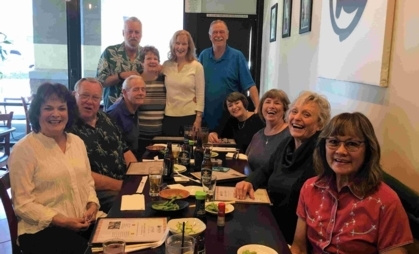 Our “South Gate High School Class of 1964 Lunch Bunch” had a great time at the Ikeda Japanese Restaurant in Huntington Beach! We missed our dear friend, Pat O’Mera who was recovering from double cataract surgery. We had missed Jim and Jayne “Farrelly” Travis last month and it was great to see them in February. We were also pleased to see Carol “Griswold” Cole stop by for a brief visit. There was a lot of laughter, sharing of stories and great food! Our lunch bunch will be meeting again on March 15th, 2018 at Old Crow Smoke House in the City of Orange at 11:30 A.M. 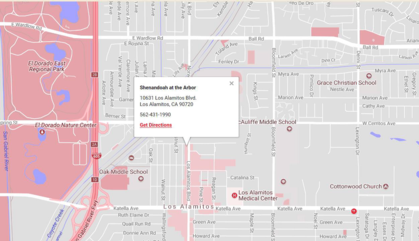 This restaurant is close to Anaheim Stadium and the Honda Center! Old Crow Smokehouse: Country Music, Cold Beer, Moonshine cocktails and Orange County’s Best Barbecue according to the Orange County Register. This Chicago native from the Wrigleyville neighborhood of the windy city has become a SoCal favorite. This Midwest import brings the best barbeque styles from the Carolinas, Memphis, Kansas City and Texas. Enjoy Southern inspired cocktails at the bar, and meet friends for one of the best communal dining experiences in Southern California. Get your country on, as you enjoy Old Crow’s signature “Scrugg’s Rub” baby back ribs and Front Porch Punch while you listen to live country tunes every Friday and Saturday night. You will love the vibe at this high-energy eatery where Country rules and the Barbecue is the name of the game! We hope to see you on March 15th! 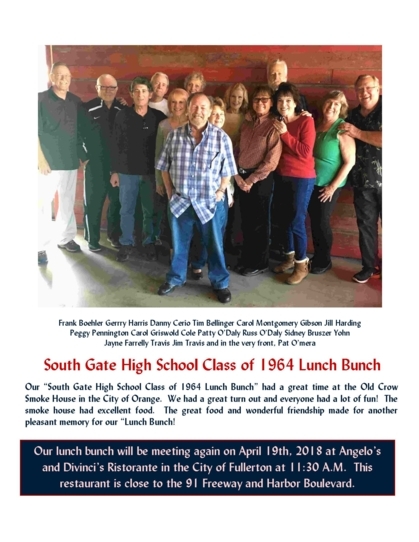 The South Gate High School Classes of 1963 and 1964 will have a reunion November 2 & 3, 2018. Friends, family and SGHS grads from other classes are enthusiastically welcome to participate. 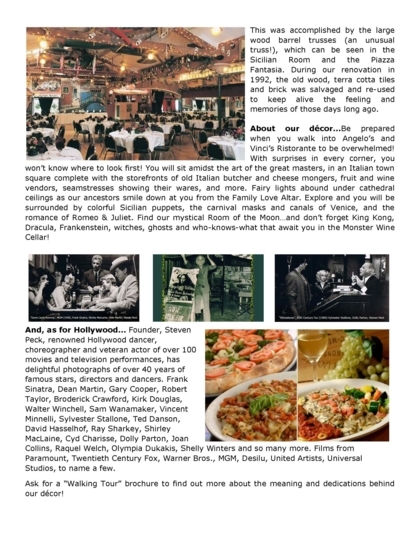 The reunion will take place at the marvelous Monteleone Meadows in Murrieta, California. 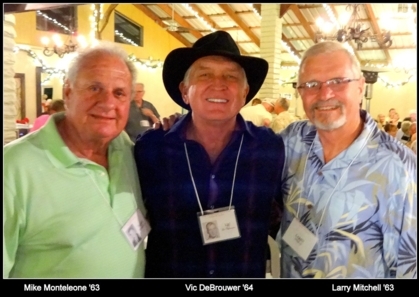 Monteleone Meadows is owned by Mike and Hennie Monteleone. Mike is a SHGS ’63 graduate. With payment please include the name(s) of spouse or guests(s). and, if appropriate, request for a vegan meal(s). Acknowledgement of receipt of payment will be accomplished by email. Monteleone Meadows does have available limited RV parking. There is no charge for RV parking, but only self-contained RV’s can be accommodated. Bob Knudtson has graciously volunteered to coordinate RV parking. Bob can be contacted at 949.637.0232. Based upon the number of classmates taking advantage of being able to stay on site in their RV, it is recommended that you make your reservation soon. To facilitate timely and efficient access to reunion photos, they will be posted on our website. This will allow us to upload photos taken by the event photographer, as well as those taken by classmates. Those so desiring, a thumbdrive/jumpdrive/flashdrive, with photos downloaded, will be available for the cost of the USB drive and postage. There will not be a “reunion” hotel. There is a full spectrum of lodging availabilities in the Temecula Valley area. The Temecula Valley area has become a popular tourist destination, with seasonal festivities lodging options can become limited. You are encouraged to make you r reservations as soon as possible. The following website links are offered to assist in your hotel selection. Additional information will be shared as it becomes available. Please feel free to ask any questions you may have. We look forward to seeing all of our friends and having a great weekend. 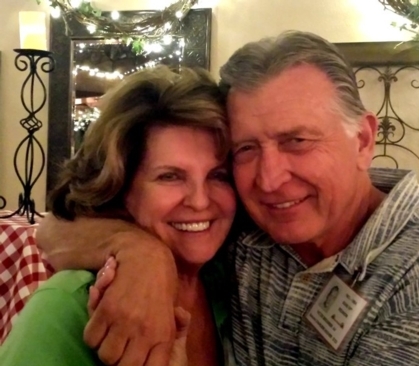 We have received word that Richard Burke (SGHS - W’67) passed away yesterday in Arizona. He will be missed by his fellow alumni and friends. It is with sadness that we relay announcement of the passing of our friend and classmate Vic DeBrouwer. Vic passed away today, surrounded by family and friends, while in hospital near his home in Nevada. Our thoughts and prayers are with his wife Charlene (SGHS S’63), and sons Scott and Blaine. Per Charlene: Vic was very active with "City of Hope" and would prefer that a donation be made in Vic's Memory, in lieu of flowers. 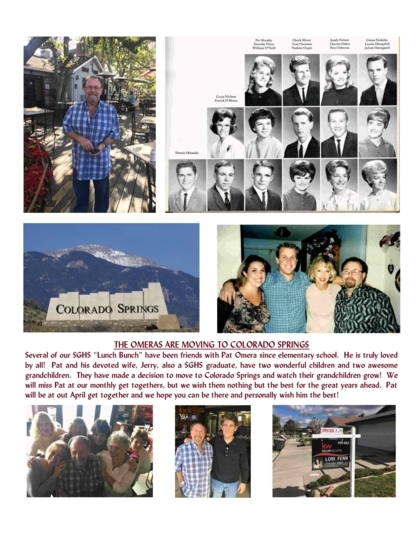 The SGHS winter/summer classes of 1963 & 1964 will celebrate a combined reunion for all classmates and friends. The reunion dates are Friday, November 2 & Saturday November 3, 2018. It sounds like a long time off, but the dates will be here before it seems possible. The celebration will be held at Monteleone Meadows. Additional information will be posted in early January, 2018. 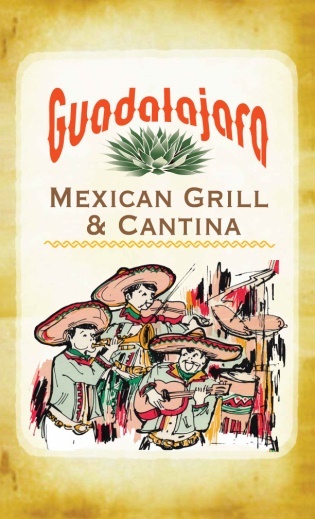 In December, we all had a great time at Guadalajara Mexican Grill and Cantina. The food was excellent and more than we could eat! Then we were off to the home of Jim and Jayne “Farrelly” Travis for dessert! Our dear friend and classmate Jay Runestad joined our lunch bunch. He is still a great guy and he is looking good! 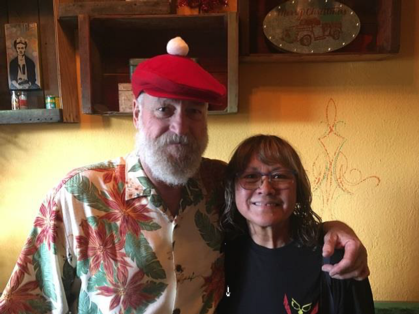 Russ and Patty O’Daly livened up things at the restaurant and then the girls, Cheryl Montgomery, Jill Robertson Harding, Jayne Farrelly Travis and Sid Bruser Yohn went wild for dessert! We all had a wonderful time and we truly thank Jim and Jayne. The photograph had a little too much fun and did not take pictures of all. He apologizes to those not included in the pictures. Shenandoah was built around creative dishes inspired by the best American flavors. 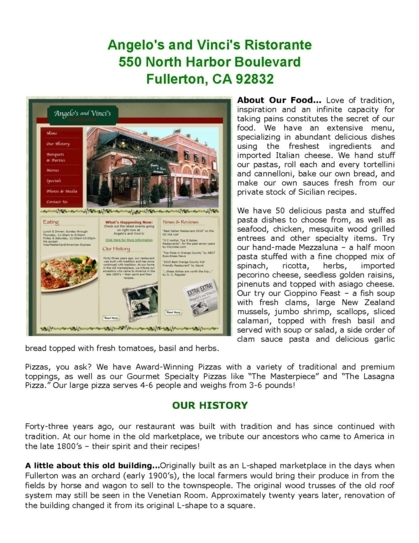 Our menus reflect not only the heritage of our restaurant, but the heritage of our family. Both of Rick’s grandmothers were Texan and their delicious home cooking inspired many of the recipes we use today. Granny Wilson’s Fried Chicken, served with hot mashed potatoes and gravy, is a true Southern classic that may be the best you’ll have. Our German butter cake is another family favorite; served warm with a dollop of ice cream, it’s serious comfort food. Rick’s father was a colonel in the Air Force, which kept his family moving throughout the United States. Rick collected recipes from his years on the road, and our menus reflect his travels. You’ll find Cajun rib-eye and seafood gumbo from New Orleans, sand dabs from San Francisco, baby back ribs from Santa Fe, summer pasta from Sonoma, and maple-glazed salmon from Solana Beach, to name a few. Of course, we’re not short on Texan fare, as our hickory-smoked prime rib, chicken fried steak, and fried green tomatoes can prove. And, if you are planning an event or celebration, consider our picturesque, outdoor patio surrounded by beautiful Mulberry trees. So, check out our menus! Then, stop by for a little Southern hospitality, a fritter or two, and some of the best American flavors you’ll find. Wishing one and all a Merry Christmas and wonderful holiday season. Wow! There was laughter and a lot of fun for all at this great British pub! Maybe the “Bombardiers” had something to do with the “spirit” of the group! 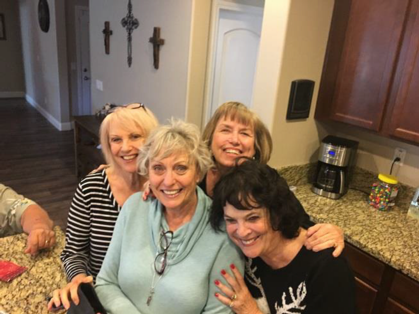 We missed Patty and Russ O’Daly attending races in Baja, Gerry Harris also attending races and we missed our dear friend, Carol Cole. We need to let you know that the recent fires in Windomar came close to the home of Jim and Jayne Travis. The fire was a distance from their home where they could see the fire and the helicopter water drops. They were lucky and we are so happy for them! 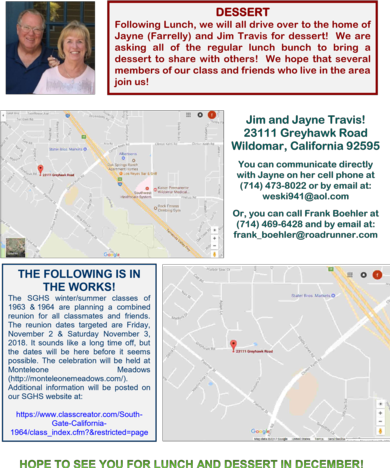 For December, our tentative plans are to meet at the Los Reyes Bar and Grill in Windomar for lunch and then go to Jim and Jayne’s for lunch! It should be a great time! Hope to see you in November and December! 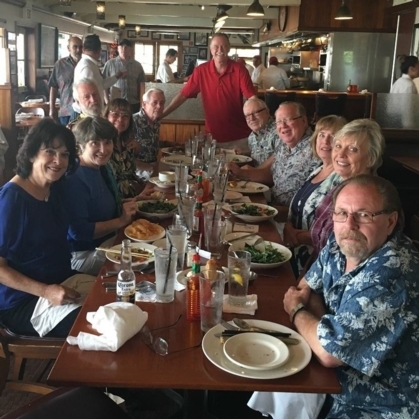 We had a great time at Blue Water Grill in Newport Beach and we are looking forward to our next few get togethers. 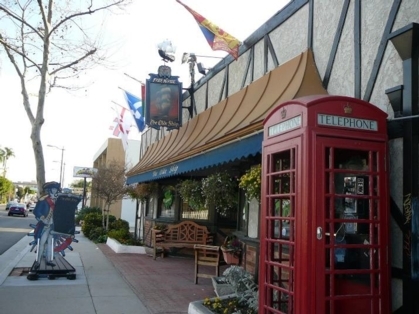 Next month, we will be meeting at “The Olde Ship in Fullerton on Thursday, November 16th! This is a restaurant that will be a new location for our lunch bunch. If you are a member or a friend of our “Class of 1964”, come and join us! "Bangers and mash, the best clam chowder and bread pudding. JUST GO! You won’t be disappointed." "Fish & chips come very hot, fresh, crispy outside & tender inside." "Best fish & chips I've had on the West Coast PERIOD. Coming from a food snob who's first fish & chips ever was at a wharf in the UK, that says a lot!" "This place has great ish and chips and their sticky toffee pudding is fantastic."